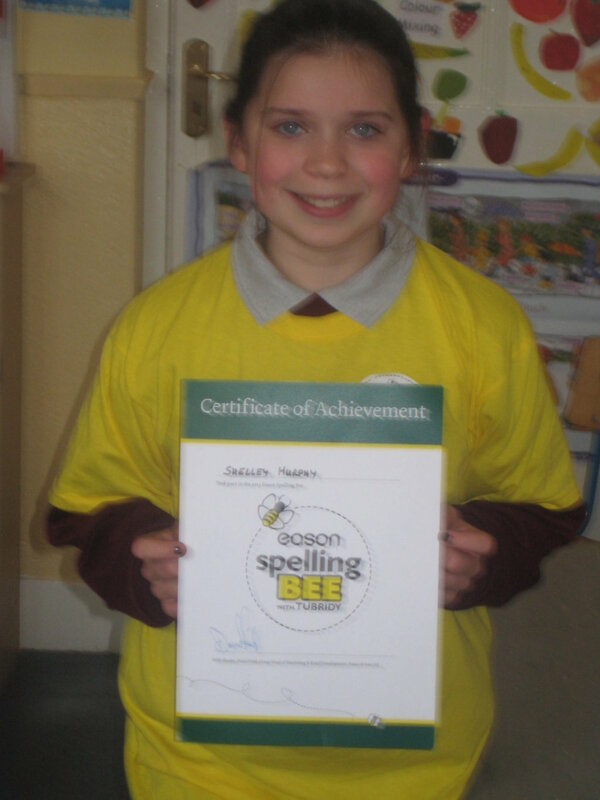 On 21st February, Shelley took part in the Eason Spelling Bee 2013. It was held in St Patrick’s primary school in Castlebar, Co Mayo. The competition lasted about an hour and a half in total and each contestant went home with an Eason’s spelling bee t-shirt, Eason’s spelling bee dictionary, a goody bag and much more. 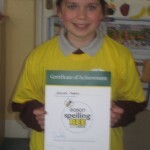 Although Shelley didn’t win, it was a great experience and a chance to make some new friends and improve her spelling. Well done Shelley! For Saint Bridget’s Day we made Saint Bridget’s crosses. Múinteoir Lorraine showed us a new way of making them by weaving. We really enjoyed making them and they turned out great!